Print, laminate, and cut apart these cards. Find the bolded cards and place at the top of your desk. 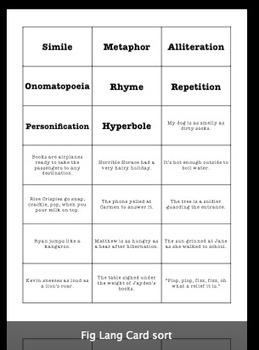 Shuffle the remaining cards and sort by the type of figurative language represented.